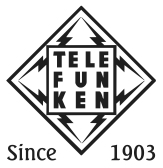 Telefunken of West Germany, founded in 1903 is the standard bearer of tonal neutrality in the 12AX7, 12AU7, 12AT7 series of tubes. 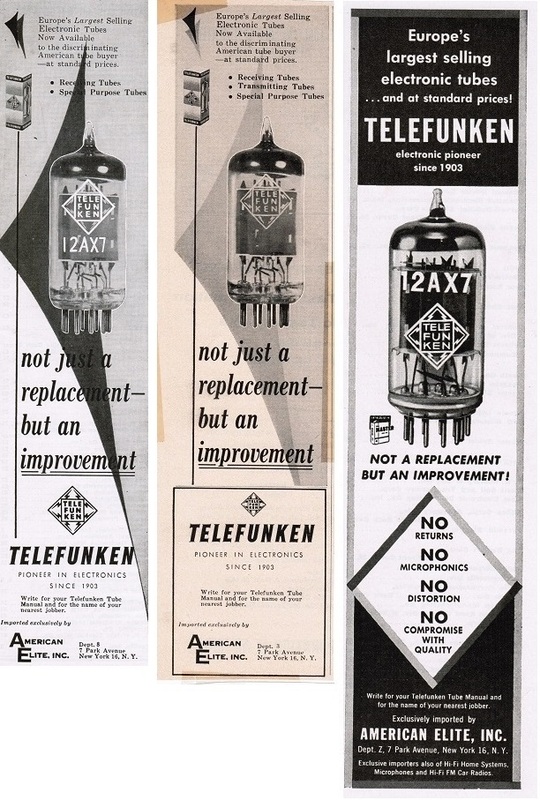 These tubes are (along with the other European four) THE “Start of The Art” in miniature tubes, long prized, and now rare and expensive, dropping a couple of these under the hood of your pre-amp or power-amp can show just how bad today’s 9 pin minis really are! They also made a good 6DJ8 though the real ones are quite rare. Note; This does not apply to East German E88CC/6922’s & other 6 volt mini’s that were made behind the Iron curtain during the cold war years and many are sold by others, as the real thing, at top dollar. 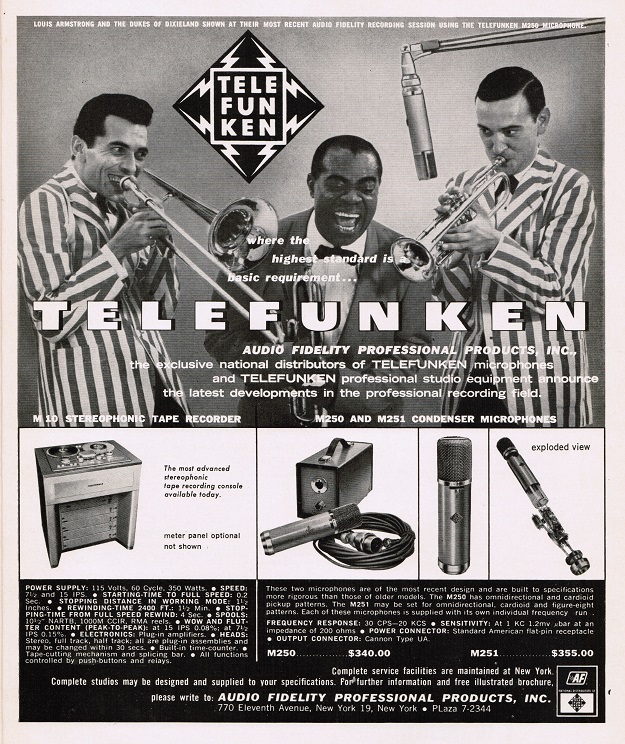 These tubes sound dark and hard, and are very sub-standard. They have been flooding the market ever since the Berlin wall came down. At V.T.S. I have identified these tubes and you will never have to worry about ending up with these.